Most of you have heard about the terrible fires in California – Paradise in particular was hit hard. We live four hours away and woke up to smoky skies for over a week. I can’t begin to imagine what it must be like to wake up to an entire community in ashes. Thank you for your interest in the WE CARE project. Our group met today (over 50 people attended in horrible weather) and “processed” over 300 quilts and pillowcases which will be delivered to the Paradise School District on Monday. There are many still to be processed. We will be making weekly deliveries as long as we are receiving quilts. Since it’s beginning in 2015, WE CARE has delivered over 800 quilts to students victimized by wildfires in Northern California. We only work with the school districts to assure that the quilts are delivered to students. We have delivered to over 15 school districts in eight counties. This year alone we provided over 180 quilts to the Mendocino Complex and Carr Fires. Our current focus is obviously the Camp Fire. Many organizations, national and local, have asked to join us in this unprecedented effort. I’m receiving quilts on a daily basis from across the country. I have been working closely with the Paradise School District. There are currently 4,232 displaced students….pre-school through 12th grade. The number who actually lost homes is not available at this time, but it is unimaginable. WE CARE has developed a reputation of giving a “gift” to the children which includes a quilt and pillowcase wrapped with a bow. Even with the overwhelming need, we will keep with our standards. I have a commitment of over 400 quilts right now from many organizations across the country. However, none come with a pillowcase. Our group made over 125 pillowcases today. Our needs now would be pillowcases and quilts 42×54 or larger for the 950 middle school and 1399 high school students. The best quilts are ones suitable for either gender…..and we always need boys. We do not have a website, nor do I want one. Our small little WE CARE group never imagined we would be coordinating a quilting family this large. But, we are on it and making it happen. As of yesterday, our group is the only one working directly with the Paradise School District. 14280 Bar Ela Ranch Rd. This is NOT a one-time effort. These children will still be homeless well into 2019 and will need comfort quilts, so we will continue until the quilts stop coming. California native, Beth Bryant, has designed a pixelated patchwork quilt called My California Home. Beth is offering this pattern on Craftsy and donating 100% of the proceeds to the California Community Foundation’s Wildfire Relief Fund. Thanks to Instagram and Amy at Diary of a Quilter, I found out about Beth’s story and with Amy’s permission, I’m able to share these words with you. Finally, award-winning quilter, teacher and Paradise resident Melinda Bula has an amazing story to share of a narrow escape from the fire and how her husband rescued some of her most treasured quilts. You can read about “The Day Paradise Burned Down” here. There is a Paradise Fire Adopt a Family program set up through Facebook. I don’t have a Facebook account, but my good friend does and she hooked me up. I’ll be donating some fabric and notions to a retired woman who lost everything in the fire. She was going to supplement her income with quilting and needs some help getting back on her feet. The other fire victim I’ll be helping is a mother of four boys who lost all of her deceased mom’s quilting supplies and quilts that she had made for her four grandsons. This woman was planning on learning to quilt with her mom’s supplies and now is starting over from scratch. I’ve focused on the Northern California fires, but I know that Southern California has had their share of tragedy. I don’t mean to leave them out, I just don’t have the resources to share for donations. If you know of anything, please leave a comment below. My heart goes out to all of those who have lost their homes, their treasures and especially their loved ones. I feel very fortunate to be able to help in some small way. I pass this information along because I know the quilting community cares and has such a big heart. We’re not all in a position to contribute, but for those that want to, I hope this helps you find an avenue that works for you. Is there any way to get an email address or phone number for We Care in order to ask about current needs through 2019? Thank you SO MUCH for this information. Here on the east coast, I can barely imagine what it is like there, but your post helped me not just to understand, but to know where to donate quilts. This will inspire me to speed up working on a quilt I’m big-stitch quilting. Thank you! Thank you for your email. I wil share the pattern and info with my guild here in Missouri. are accepting material, books, rotary cutters, mats, thread, rulers, etc. So many of our quilters have lost everything. I just sent a box day before yesterday. Every little bit helps. Thank you for sharing all your stories and the many ways Quilters can do their parts to help others. Thank you for all this information, Julie. 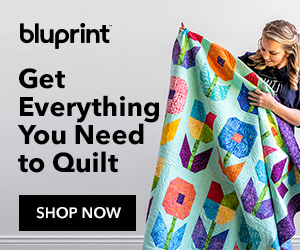 Julie, can’t thank you enough for sharing this information with the quilting community. Our guild is finishing up quilts for the North Carolina flood victims so I’ll share this information for California next week. As you can imagine, California is near and dear to my heart, especially since I have close friends who lived in Paradise. So thankful they were barely able to escape but cannot imagine the difficult times ahead. Will make a pillowcase and send with a quilt to the address given. So sad! Having some surgery so I’ll try to get it done before. Julie, thank you for sharing this with us. I’m born & raised in California. All my family live in SoCal. Adult children & grandboys. I’ll see what I can whip up & send to the address listed.